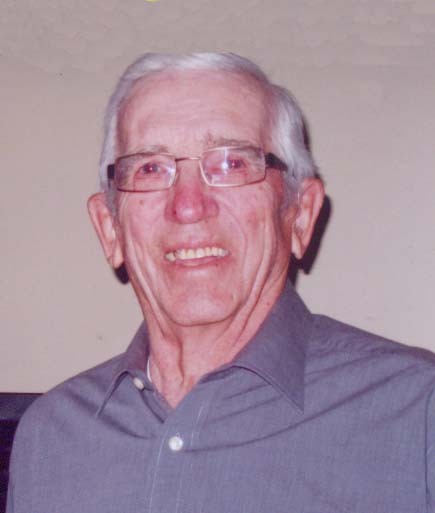 Stanley Donald Firby, passed away peacefully on February 4, 2019, at the age of 84, at the Minnedosa Personal Care Home with family by his side. Stan was born March 21, 1934 in Minnedosa to Norman and Mary Firby. He attended Crocus Hill and Cameron schools. Following school in 1953, Stan completed a diesel and auto mechanics course in Edmonton. He returned to Minnedosa and drove the fuel truck for the Minnedosa Consumers Co-op until he began farming full time with his father. In 1956, Stan rented the Evans Farm in the Fairmount District, a property he later purchased. Stan married Zelda Sillen on March 14, 1964 and together they raised four children, Marlin, Mark, Marla and Melanie, along with cattle and grain at their home at NW-11-16-19. The farm was named “Fairmount Farms” and Stan took great pride in farming with his sons until he changed his title to “Gopher” in 1998. Stan served his community as a member of the Basswood Pool Elevator board and drove the community snowplow. Stan was also a member of the Minnedosa Covenant Church. He always enjoyed curling, first as a player and later as an avid follower on tv. One of his favourite curling moments was participating in a men's bonspiel in Calgary in 1963 with Jack Burgess. Although not a world traveller, Stan always liked to drive. He and Zelda enjoyed trips to visit with friends and family in Western Canada and the United States. Stan and Zelda lived on the farm until April 2015, at which time they moved into Minnedosa. After a recent illness and struggle with Alzheimers, the family rests secure in the knowledge that their husband Dad, and Poppa is in Heaven. Stan will be forever remembered and loved by his wife Zelda of almost 55 years; son Marlin; son Mark and wife Sylvia and their children Danika (Matt), Ryan and Jordyn; daughter Marla and husband Mike Pearce and their children Kirsten and Colton; and daughter Melanie and husband Reg Simms and their children Joey and Abi. He is also survived by his sister Jean, her husband Paul Curtis and their children Jennifer and Sarah and their families; sister-in-law Margaret and her husband Ron Sweet and their children Tim and Carol and their families; and brother-in-law Marvin Sillen and his wife Grace. He will also be missed by many cousins and friends. He was predeceased by his parents Norman and Mary and his parents-in-law Fred and Helen Sillen. The funeral service was held Saturday, February 9 at the Minnedosa Covenant Church. Internment was at the Fairmount Cemetery. In lieu of flowers donations may be made to the Minnedosa Covenant Church Piano Fund, the Manitoba Alzheimers Society or a charity of your choice. White’s Funeral Home was in care of the arrangements.